The beds and sofa were ultra comfortable. The location close to the Convention Center was excellent too. The location and views were simply amazing!! The rooms were soacuous and the residence was clean and organized. I will definitely book again. Amazing views. Plenty of space. Lots of places close by to eat and drink. Fantastic views of the city. 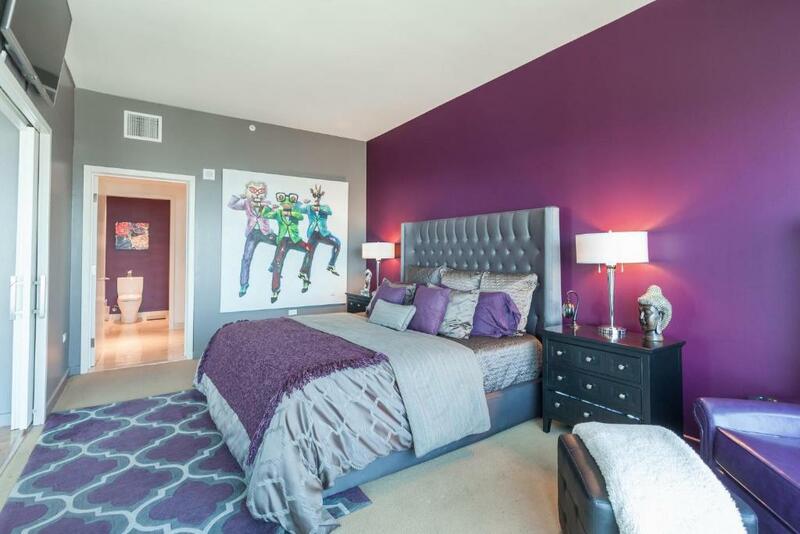 Nice spacious bedrooms and bathrooms. Great location. The view and the fitnessarea and the host ( Marvin) who did his utmost to counter the defaults and problems. The host was cool face and helpful. Location is excellent. The view is fantastic. The view was spectacular. I really appreciated having access to the washing machine and dryer, it was very handy although the washing machine had a few almonds caught in the rubber of the door and the dryer hadn’t been de-fluffed in a while so they weren’t cleaned out between stays. 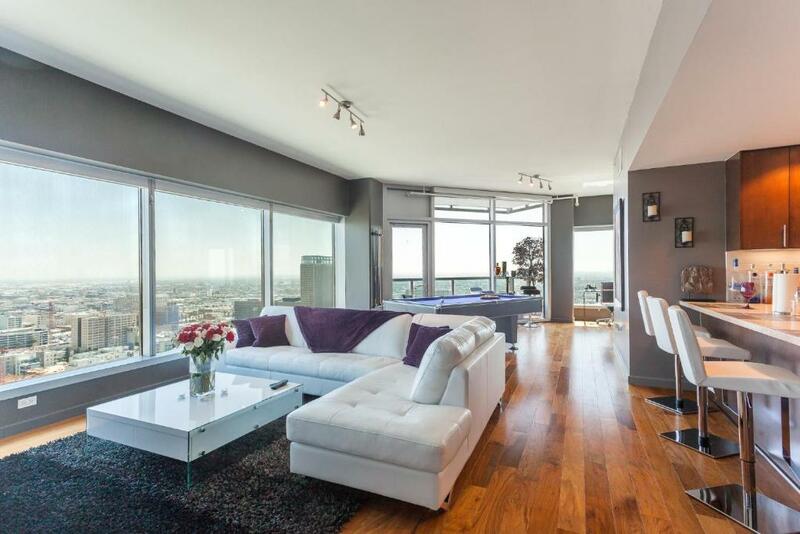 Good location,Nice view from the 32nd floor,The room is nice with furniture and some idols. 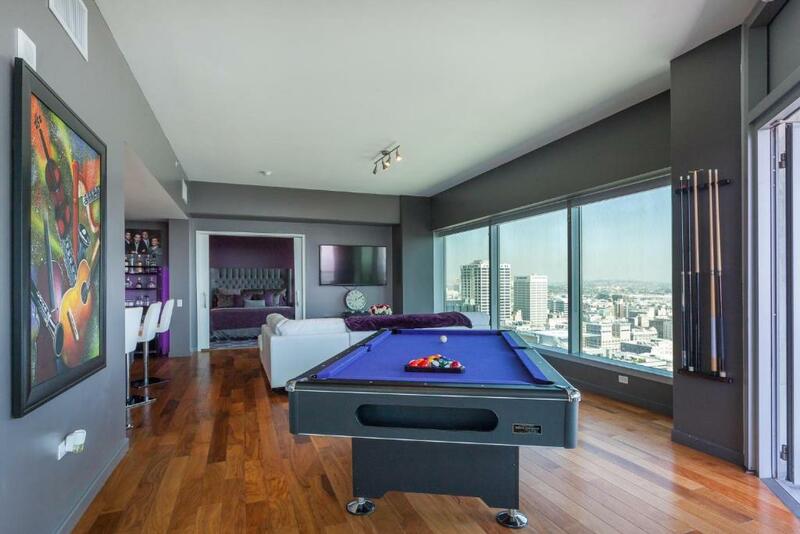 Lock in a great price for Urban Downtown LA Pool Table Penthouse – rated 8.3 by recent guests! 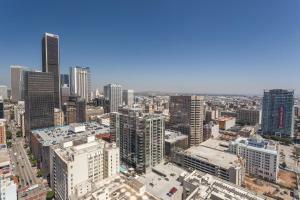 One of our best sellers in Los Angeles! 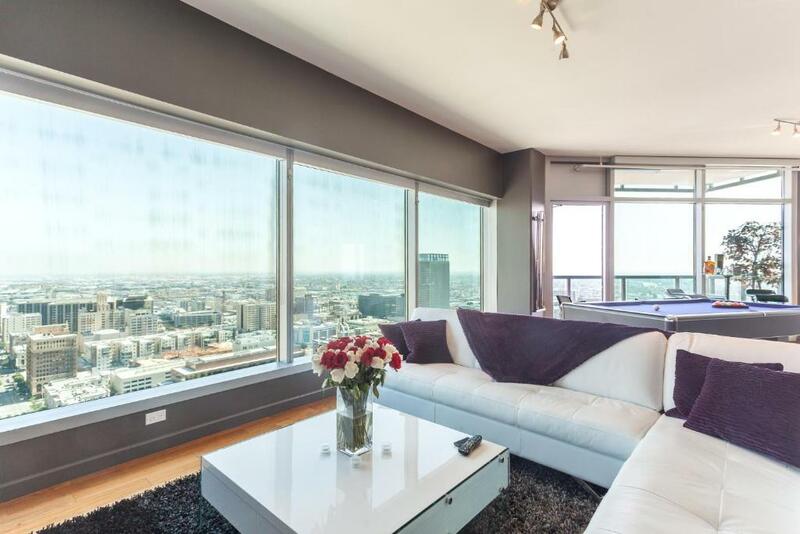 Located a 4-minute walk from Microsoft Theater and 1,200 feet from Staples Center, Urban Downtown LA Pool Table Penthouse offers accommodations right in the heart of Los Angeles. 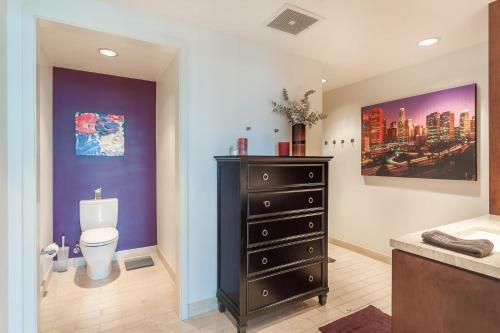 The property is a 7-minute walk from the L.A. Live and has free WiFi. The apartment features 2 bedrooms and a fully equipped kitchen with a dishwasher. A TV is available. 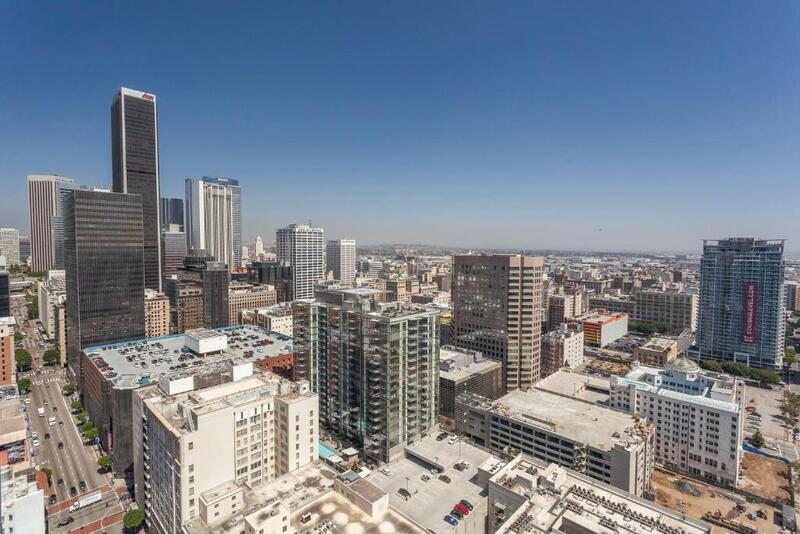 California Science Center is 2.5 miles from Urban DTLA Pool Table Penthouse, while Natural History Museum of Los Angeles County is 2.9 miles from the property. Los Angeles International Airport is 14 miles away. When would you like to stay at Urban Downtown LA Pool Table Penthouse? This apartment has a toaster, microwave and dishwasher. 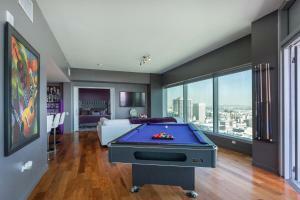 House Rules Urban Downtown LA Pool Table Penthouse takes special requests – add in the next step! 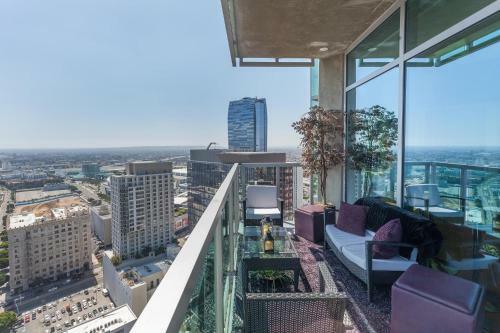 Urban Downtown LA Pool Table Penthouse accepts these cards and reserves the right to temporarily hold an amount prior to arrival. There were minor things like the kitchen lights and stove not working. We only stayed one night so it wasn’t a deal breaker. The day of our departure, the unit smelled kind of funny. Maybe a problem with the AC? We experienced : Old clothes in the dressingroom , 1 key for 5 persons the extra bed for person nr 5 was of very poor quality , not enough tablewear , dirty tablewear , broken decoration , a broken - not functioning dishwasher , the pooltable was old and the accessories for it were broken .... The dishwasher could not be repaired during our stay . We contacted the owners twice before this review bit without any answer . The accommodation was dirty and unpleasant smell. There was a canal smell in the toilet. The hood was very noisy. The carpets were dirty and awful. You have to renovate the apartment so it was disappointing for that much money. Warning!! This is a long list. Sadly, there was not much I liked about this property, I was so incredibly disappointed. I had booked this property because I wanted luxury. It was the last stop on a big family holiday, I wanted luxury, paid for luxury but ended up with a tired apartment that massively failed with the wow factor that a Penthouse should have. The property clearly lacks maintenance and TLC and needs a full make over. The advertising on this property is very misleading. The photos are not true to its current state. If you are considering booking this apartment please reconsider. I have nothing to gain or lose by writing this, I am just being honest and I was SO disappointed, I don’t want anyone else to be fooled by the pretty pictures and fancy words. The dishwasher needs to be replaced, I didn’t even use it as the top shelf just hung there, it was rusted through. The carpets in the bedroom were stained (some stains looked like blood), the air conditioning vents were gunked up with dust, the glass doors to the showers were flimsy, main bedroom bathroom vanity was cracked and broken, missing chunks, there was maybe 2 towel hooks between both bathrooms, cupboards had clothes hanging in them and random things like dried plants that smelt like vomit and the walls were scuffed and dirty. The pool table had a small tear in the fabric and of the 2 pool queues only 1 had a tip on it so only 1 could be used. The 2 piece pool queue wall holder could not be used as the top part of it had fallen off the wall and was just stacked on top of the base holder so it was of no use. The leather lounge could do with a good clean (I couldn’t bring myself to wipe it down as I was worried about how dirty it really was) it also had a tear in it. The wooden floor boards under the breakfast bar were all scratched up because the bar stools had bolts that needed to be tightened and they sat lower than the base of the chair. Some of the broken things should have been prepared.Room service like cleaning the room and changing the towels should be involved.We didn't get those service during our 5days staying. Suite furniture was a bit dirty and there was just little things like fixing a door knob that should of been addressed. Especially when your charging somebody 150$ for a cleaning fee, then we get there and the counter tops are dirty. It was beautiful! The view. The decor. The staff where you pick your keys up. Everything was so great.